Carry out your fun party color theme throughout your party space by adding a little table confetti to your tabletops. Each little party number is about 1.25" and can be created for you in the party number and in the color of your choice. 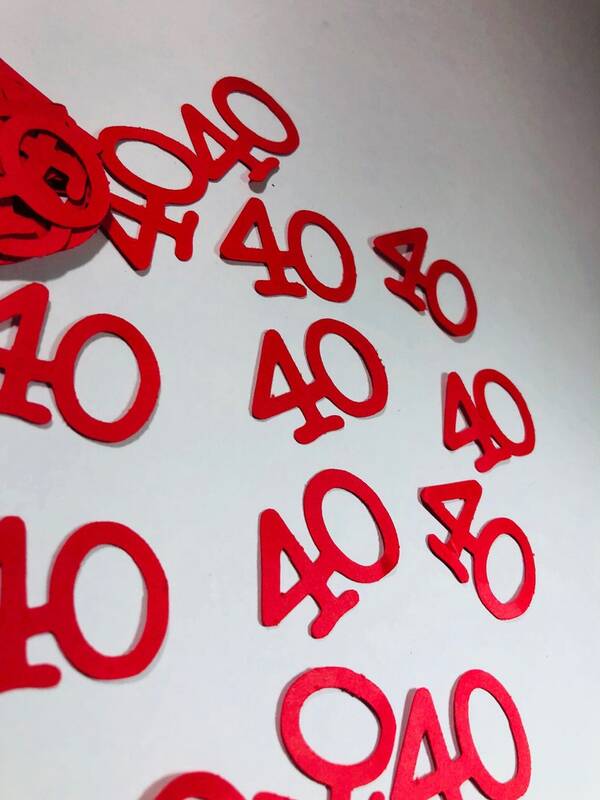 Whether it's a 40th, 50th, 60th or 75th birthday or anniversary these little guys will certainly add a little extra fun to your party scene. The listing is for one set which includes approx 50 pieces.